Carborundum Flaring Cup Wheels are the ideal tool for grinding/smoothing down stone edges/chamfers in preparation for polishing. The flaring shape ensures you can get into tight internal corners without hitting/contacting the opposite face. 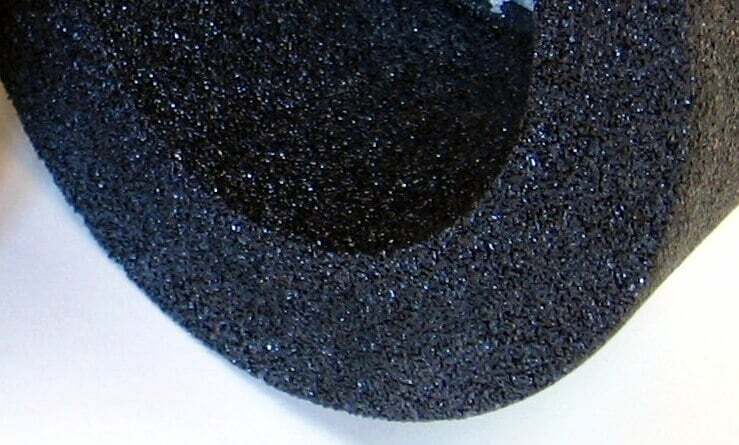 Carborundum Cup Wheels are most commonly used dry, however can also be used wet. 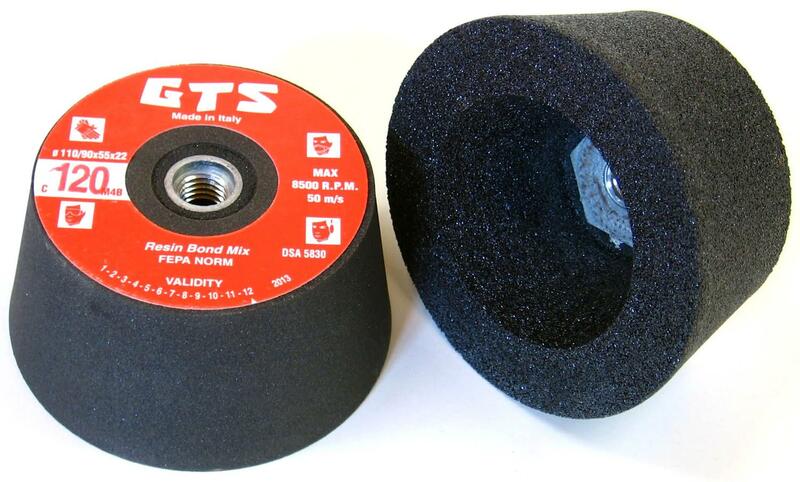 Available in 36, 60, 120 and 220 grit, dimensions 110/90 diameter x 55mm thick with M14 fitting. 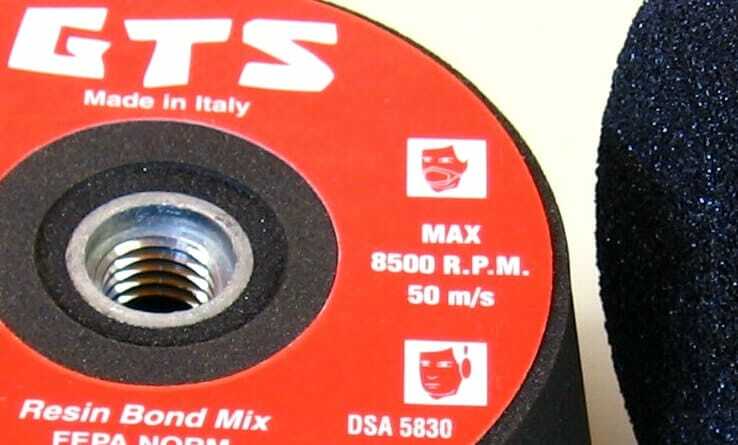 Prior to fitting the Cup Wheels directly onto the M14 spindle of the grinder polisher, check that there are no cracks, damage or hair line fractures to the resin. If there is any evidence of damage do not use – throw it away immediately, as this product can potentially be very dangerous if abused or run too fast.